A few years ago Thabiti Anyabwile published a little book, What is a Healthy Church Member? In it, he urged healthy church members to be expositional listeners, by which he meant that just as the faithful pastor makes the main point of his message the main point of the text (i.e., expositional preaching), so healthy congregations will also make it a priority to comprehend the expositional sermon. About that say time, Christopher Ash wrote a little guide on the same subject: Listen Up! A Practical Guide to Listening to Sermons. Well, apparently, Anyabwile and Ash are not alone in their estimation that the congregation plays a dramatic role in the “effectiveness” of a pastor’s preaching. 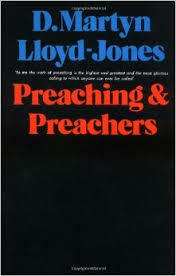 As I recently scanned D. Martyn Lloyd-Jones’ classic text, Preaching and Preachers, I came across the same idea. In chapter eight, he discusses the “relationship of the pew to the pulpit” (143) and addresses the vital role that congregants play in the service of preaching. While not minimizing the role of the preacher, and abhorring the idea that the pew dictate what the pulpit should preach, he is exactly right to emphasize how churches confirm or deny the message of the gospel by means of their own inattention or eager anticipation. Consider his words and how you or your church might apply his exhortation. I would put my exhortation to these listeners . . . by telling them that if they have no other reason for being present at every service of the Church, that they should at any rate realize that there is great value in numbers. Look at it like this. Think of a man who is not a Christian, a man of the world who suddenly finds himself in great trouble. He has a terrible problem and no one seems able to help him. Walking along the streets aimlessly he happens to pass a church, a place of worship, and he decides to go in wondering whether he will find help there. Now if he finds just a little handful of people there, people who look miserable and, as the preacher begins to preach, keep looking at their watches repeatedly, he will come to the conclusion that there is nothing in it. He will conclude that this handful of people do this sort of thing probably because they were brought up to do so, and have not thought sufficiently about it even to stop doing it. It obviously does not mean much to them; they are doing it clearly as a matter of routine or tradition, or out of a sense of duty. The poor man will be entirely put of; it will not help him at all. But if he goes into a church which is packed with people and becomes conscious of a spirit of anticipation, and sees a people who are eagerly looking forward to something, he will say, ‘There is something in this. What is it that brings these people here, this great crowd of people?’ So he is interested immediately and begins to pay close attention to everything. The very fact of a crowd of people doing this has often been used by the Spirit of God to lead people to conviction and conversion. I have known this happen many times. If you are a preacher, you have probably experienced this firsthand. Just the same, if you are an “attender,” you too know the difference between a congregation hungry for the Word and one hungry for China Buffet. When a congregation is full and engaged during a sermon, it energizes me to preach with greater passion. It also enthralls visitors with a sense of wonder. By the same token, when a congregation is drowsy or disinterested, or if it is sparsely populated due to competing obligations (not due to the size of the church body), or if people actually leave the service to attend to other pedestrian matters, it has a stifling, suffocating effect on those who come. 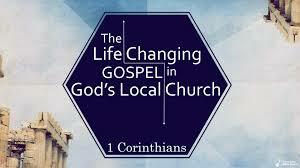 Sadly, in our consumer age, too many church members do not consider the part they play in the preaching of God’s Word. Yes, their prayers (even when offered in absentia) are an effective means of grace. But prayers coupled with presence and the earnest effort to bring others to hear the gospel are what make a church service electric. In truth, it is always the preaching of the gospel, God’s Word proclaimed faithfully and fervently, which is the power of God unto salvation. But may we not forget the vital importance of the gathered church. It is not the pastor alone who plants and waters; it is the whole congregation that bears testimony to the Word of Truth. Of course, this is done individually, but also corporately. Just as the Spirit indwells and gifts all church members, it is the whole church that must come together to sit under God’s Word. When this happens, unbelievers will know they have encountered something real and powerful. When it doesn’t and church members yawn at the preaching of God’s Word, take note, it is not just the preacher who will give an account. Therefore, little flock, take care how you listen. The world is watching and wondering what you believe. The Lord is watching too, and very soon, we who preach the Word and you who listen will both give an account for how we handled the precious gospel of Jesus Christ. May we handle it as the priceless treasure that it is and do all we can to make sure others feel the same way.